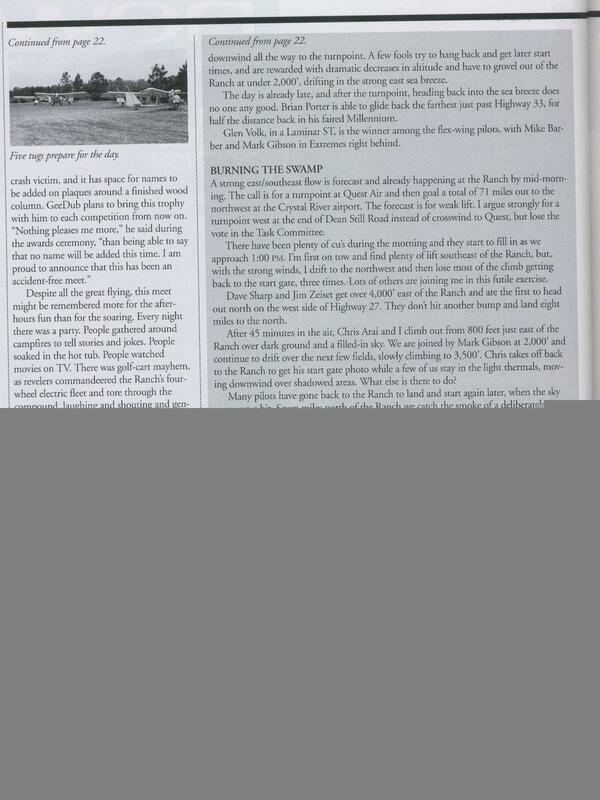 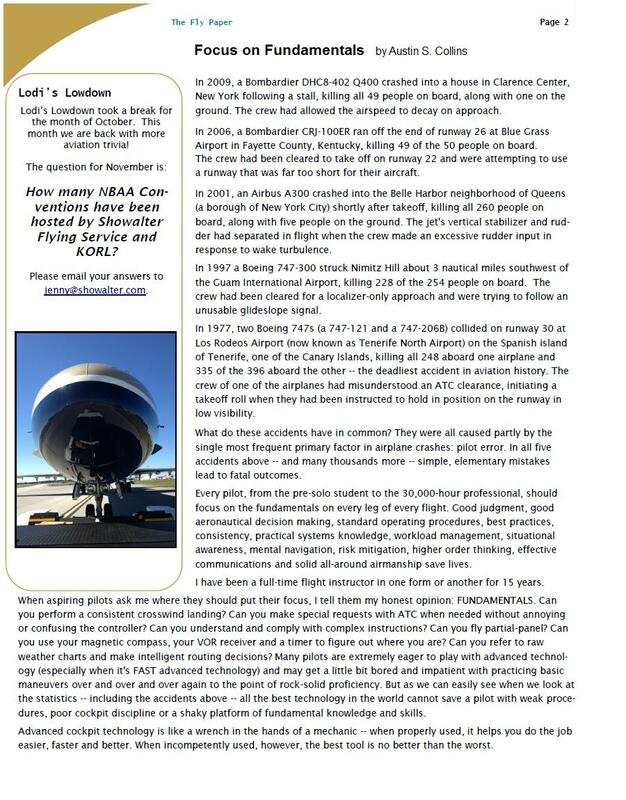 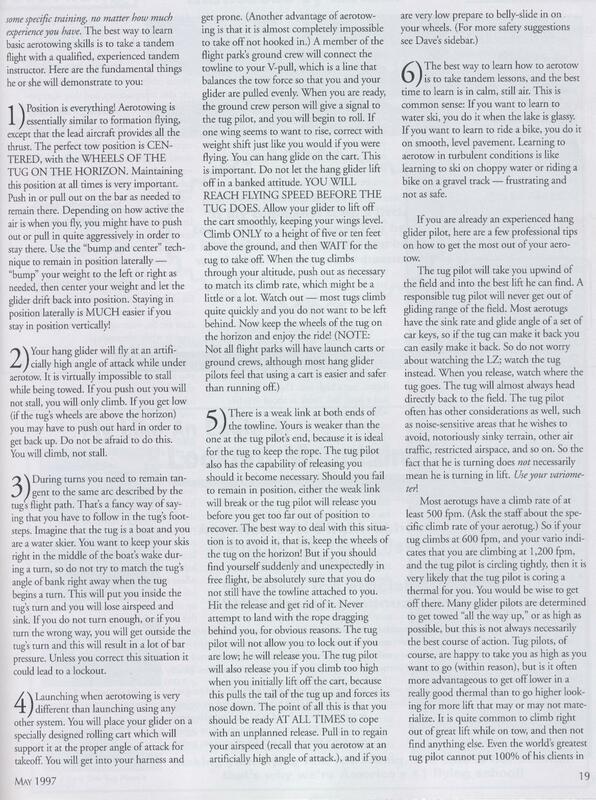 A short piece I wrote for the November 2012 issue of Fly Paper. 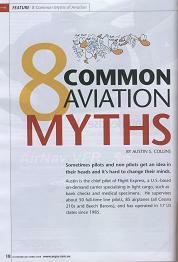 And this is a cover story debunking some prevalent misconceptions. 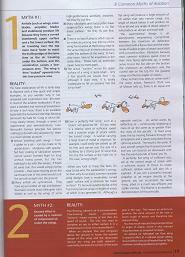 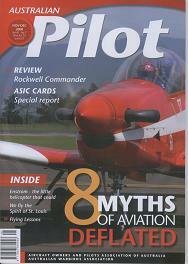 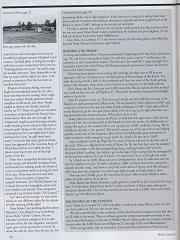 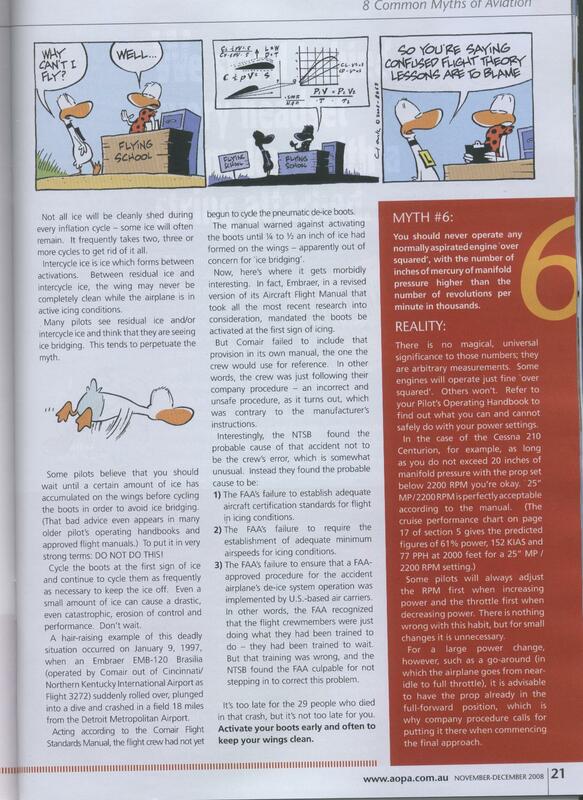 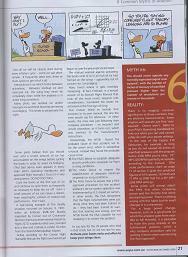 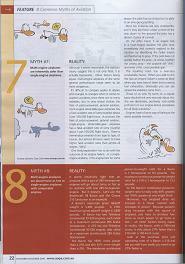 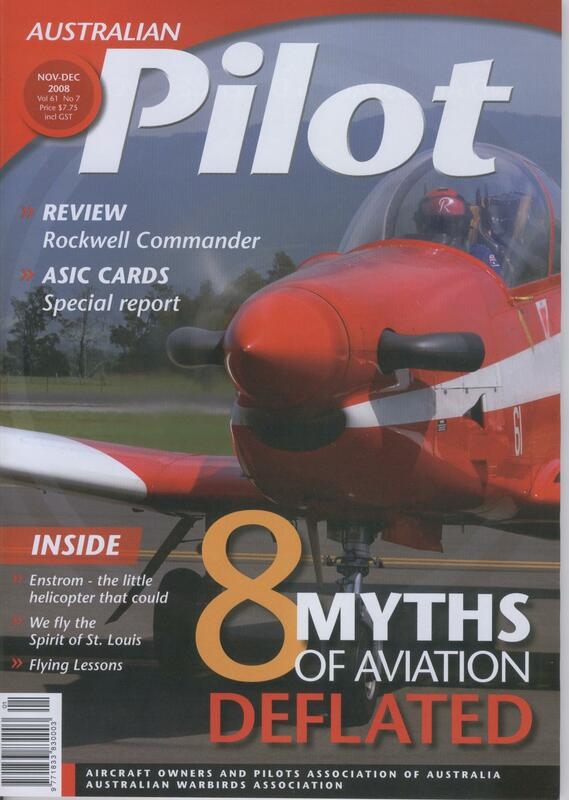 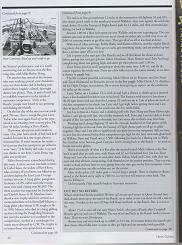 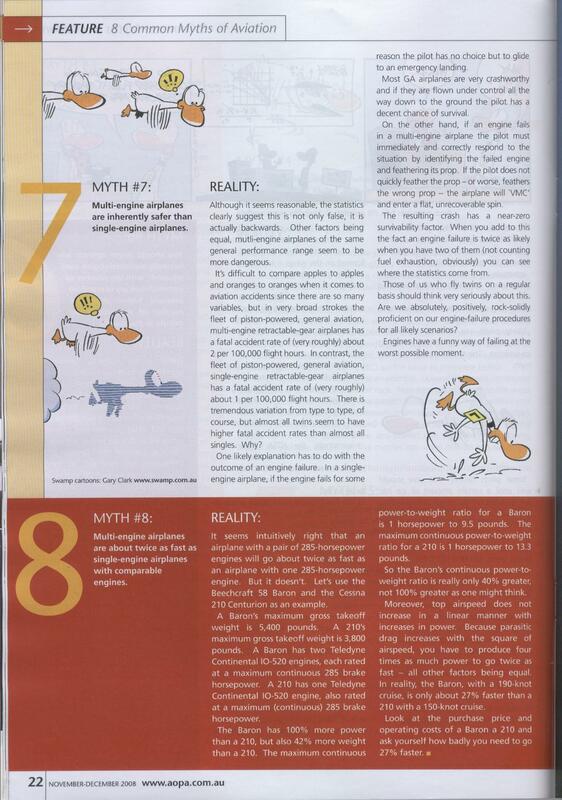 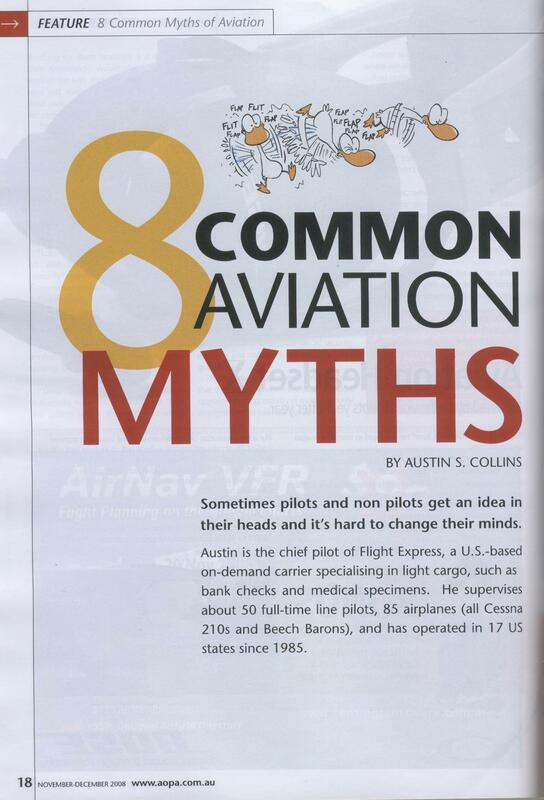 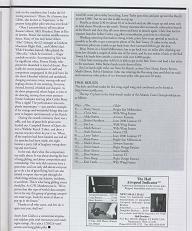 It was published in Australian Pilot in the 2008 November-December issue. 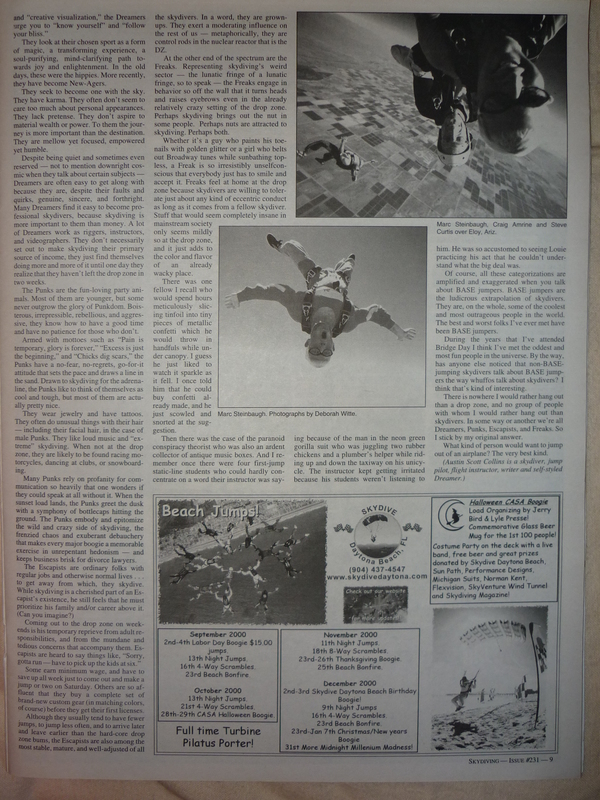 A humorous reflection upon the eccentric personalities that populate the parachuting community. 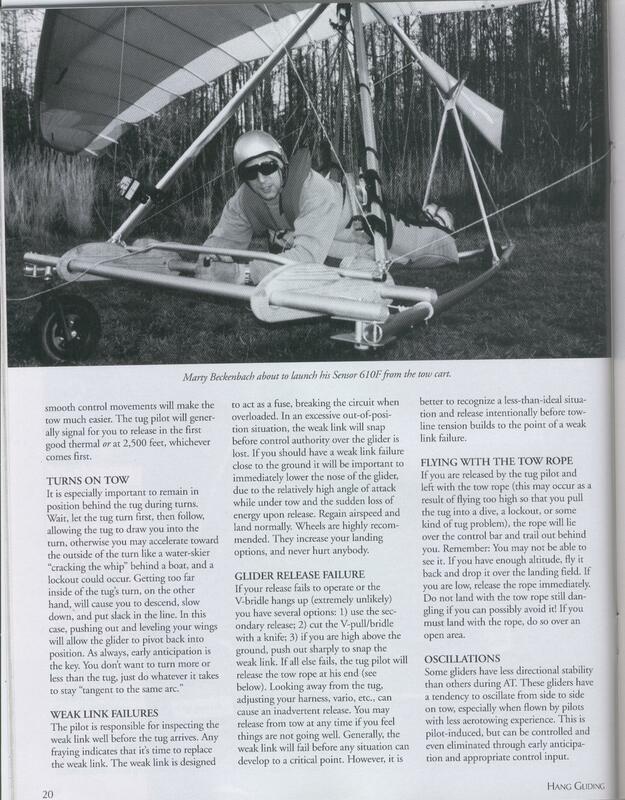 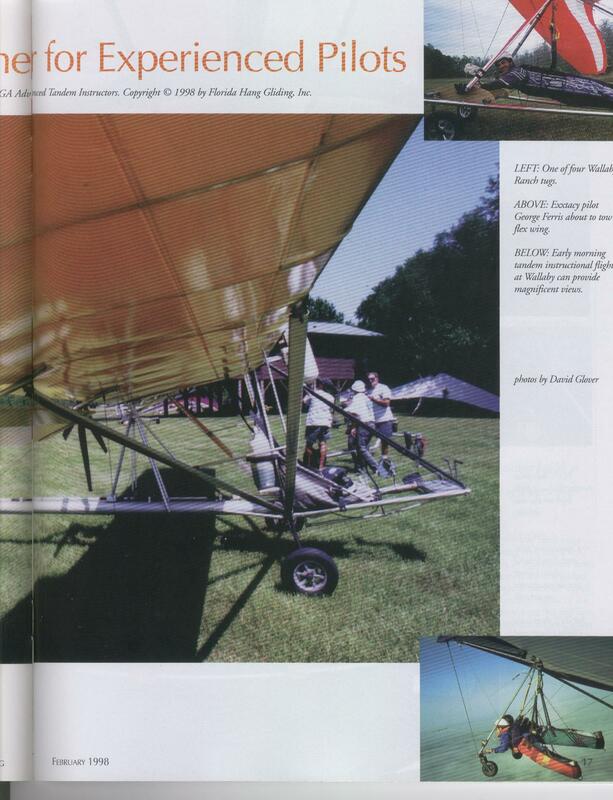 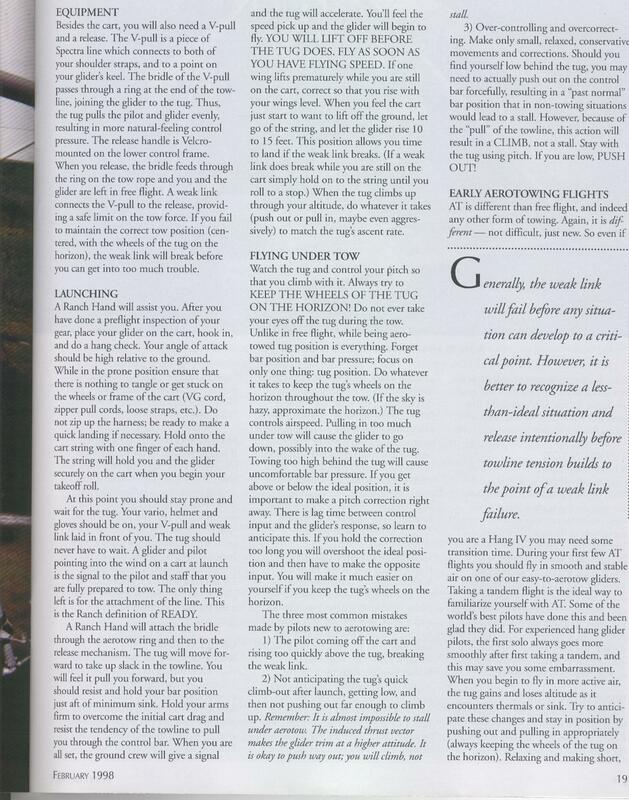 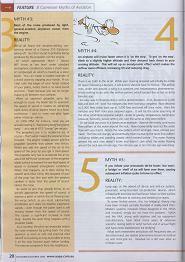 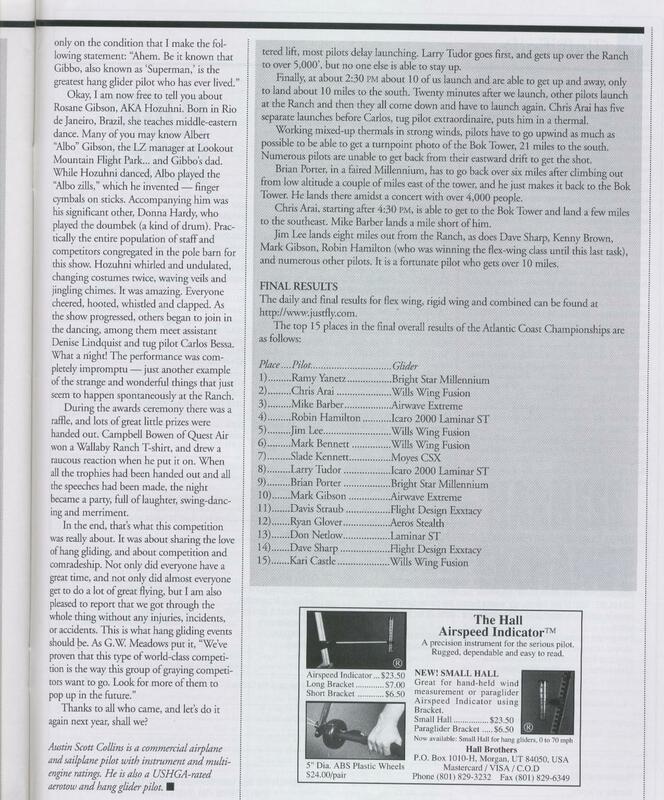 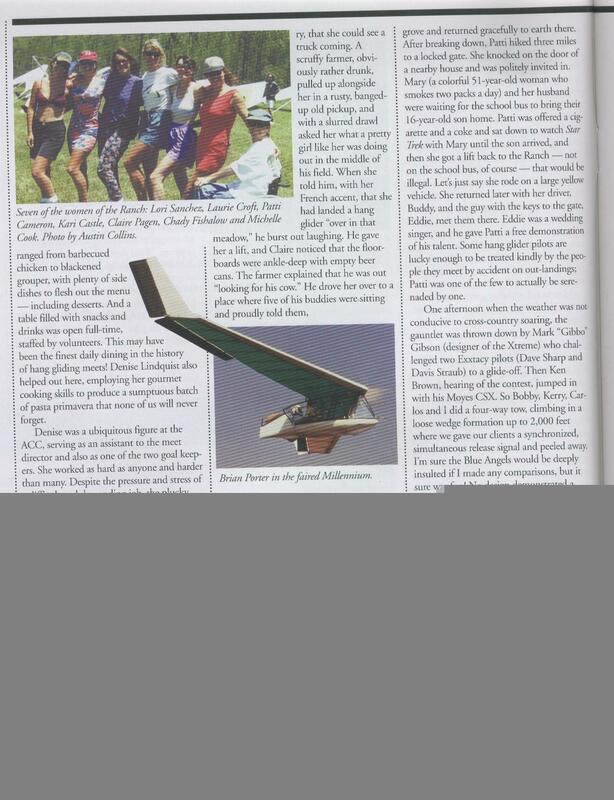 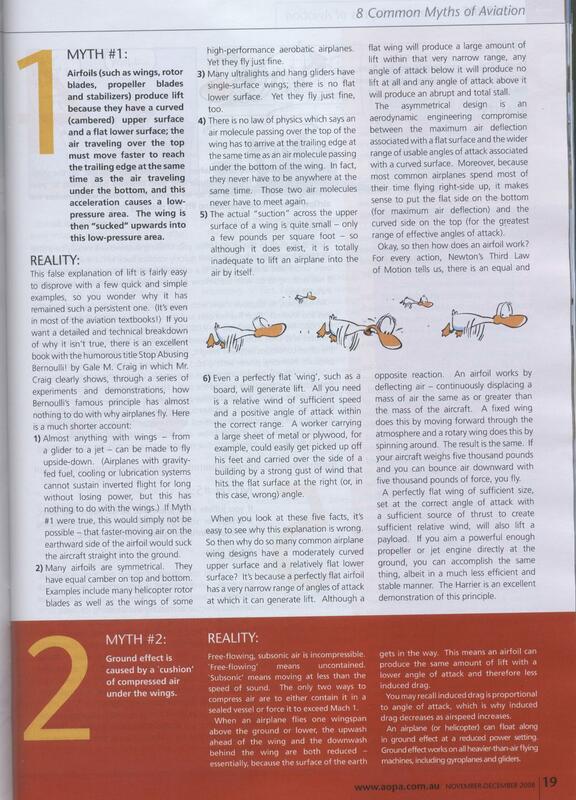 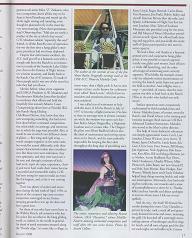 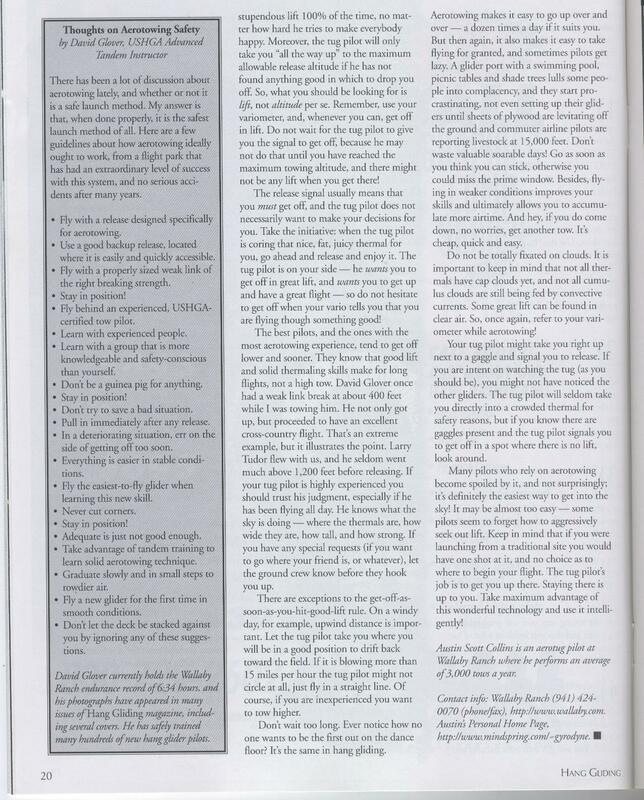 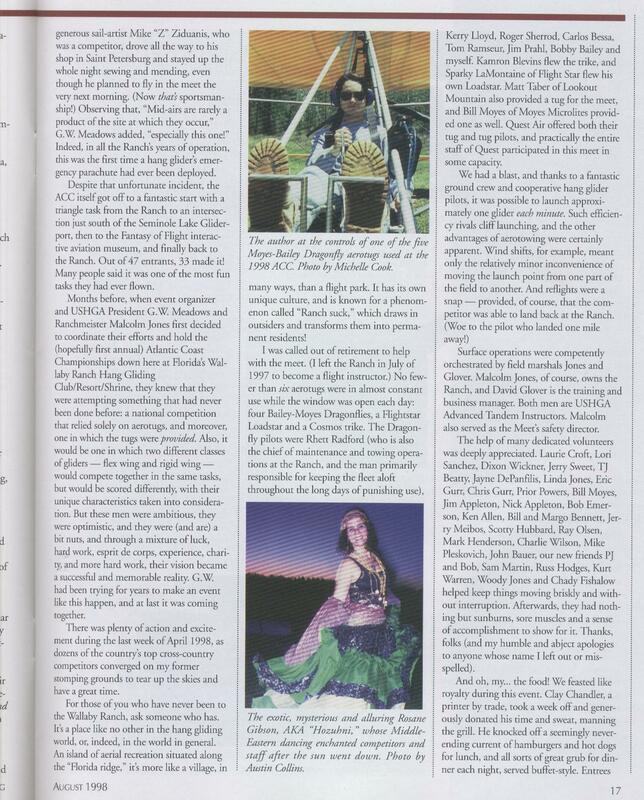 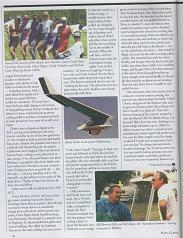 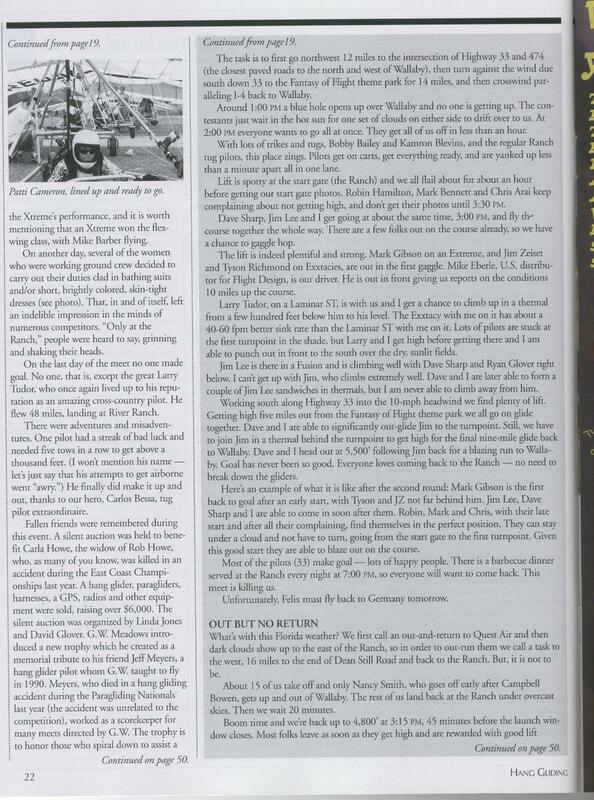 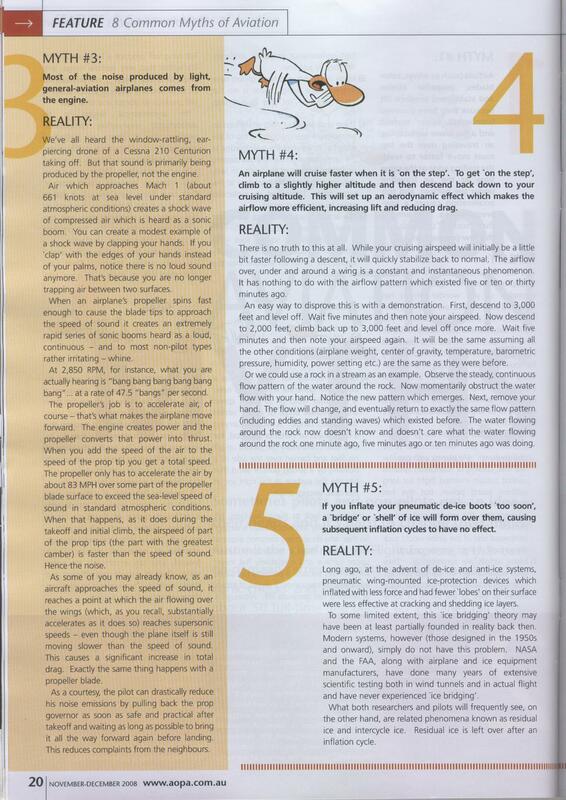 Below are three articles I wrote for Hang Gliding magazine, the official publication of the U.S. 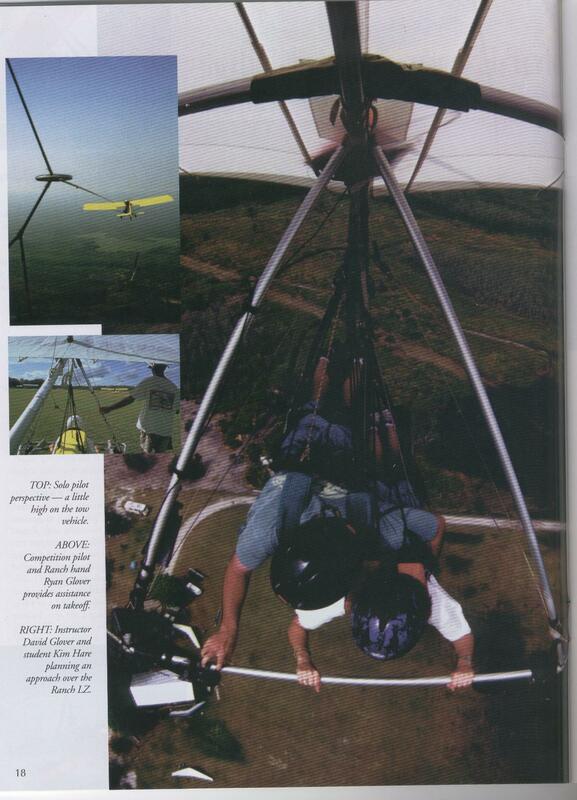 Hang Gliding and Paragliding Association (which back then was simply known as the U.S. 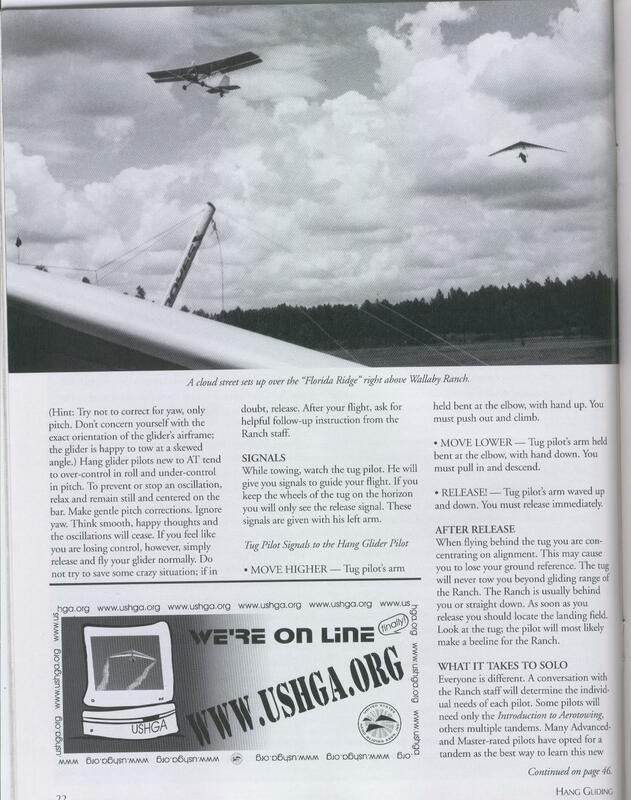 Hang Gliding Association). 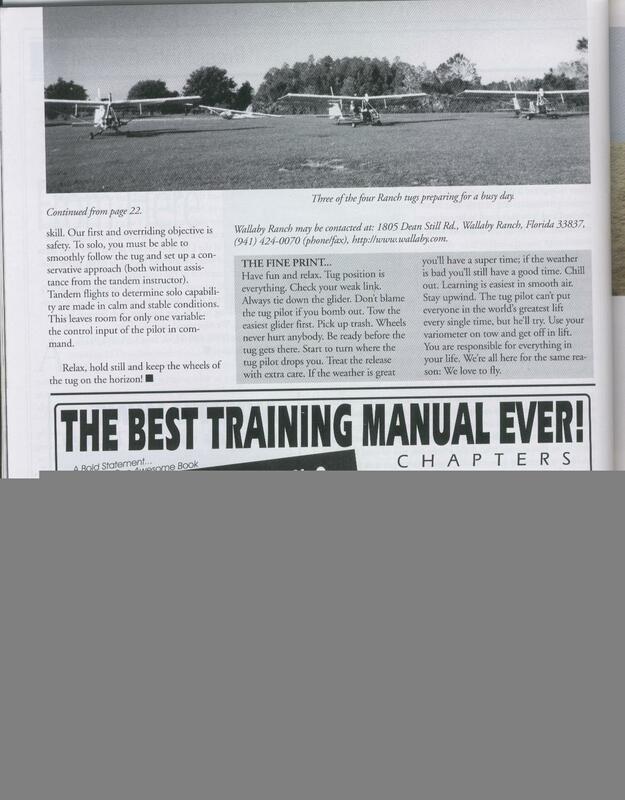 Some of the technical details in the two instructional articles are now out of date -- the technology has improved -- but the gist of them is still valid. 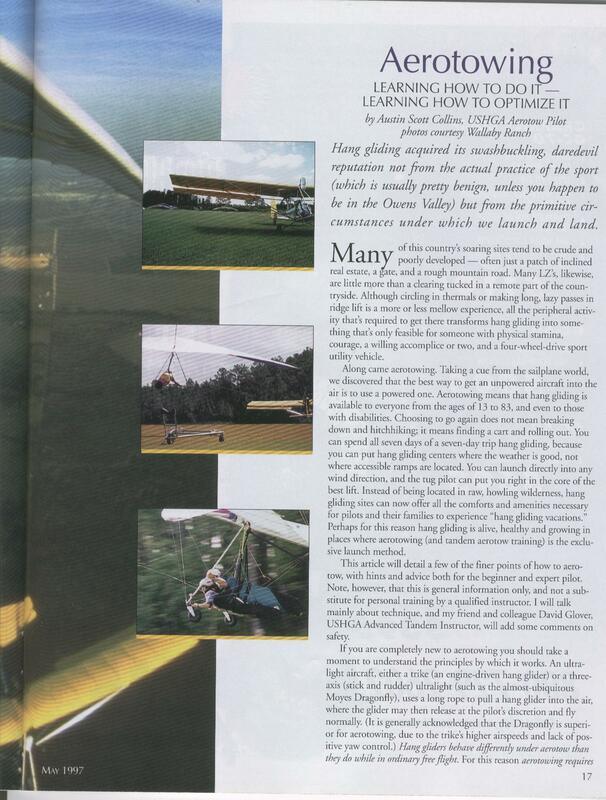 "Aerotowing: Learning How to Do It -- Learning How to Optimize It"
This one was written as a general introduction to hang glider pilots who might not yet be familiar with this emerging technology, which in 1997 was still relatively new, somewhat experimental and not universally accepted. 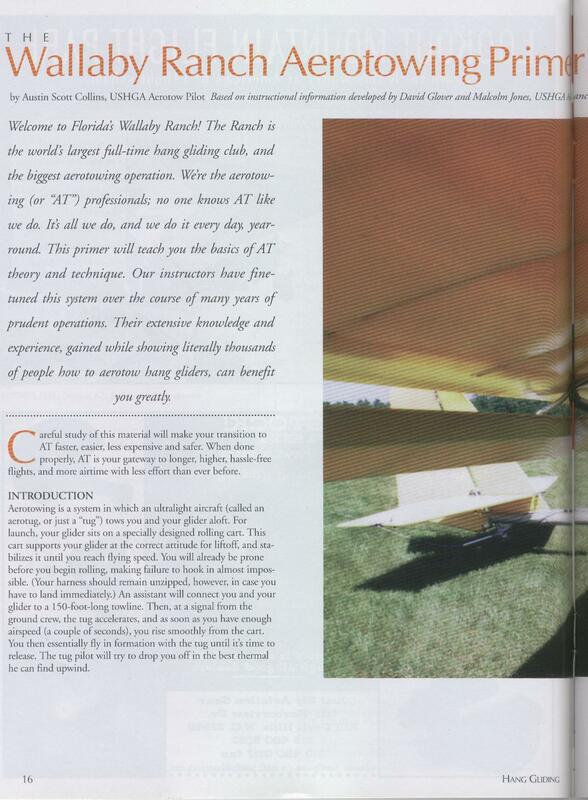 "The Wallaby Ranch Aerotowing Primer for Experienced Pilots"
Much more technical in tone, this article was directed at hang glider pilots who were already accomplished at traditional mountain flying and wanted to sample the multiple conveniences of aerotowing, particularly the kind of flatland aerotowing we offered in Florida. 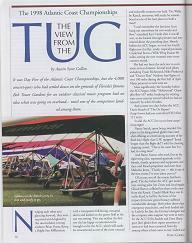 "The 1998 Atlantic Coast Championships: The View from the Tug"